1. Not sure why your rankings aren't growing? Check if your site is suffering from Penguin or Panda penalty. 2. Need to quickly evaluate your new website? See what penalties you'll need to help the client to recover from. 3. Have no time to monitor all Google changes? We will monitor the changes for you. Knowing which problems your site is suffering from right now is the key to building an effective SEO strategy for future. So why go blind with Google penalties? Not sure if your site's been hit by a Google algo update? We are here for a quick investigation to diagnose a Google penalty and check if Penguin, Panda and other updates affect your site! Google keeps constantly re-shaping its search results. Penguins, Pandas, mobile and local SEO updates – how do you keep track of all these changes? 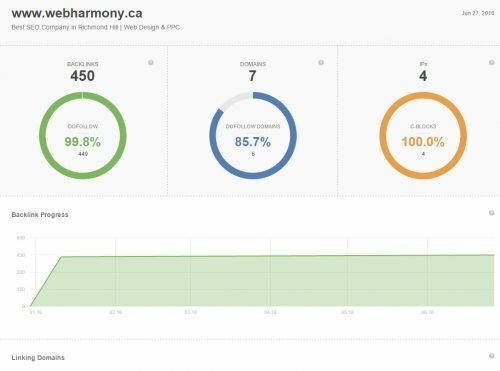 At Web Harmony, We helps our client by a Google penalty detection system. By matching changes in your traffic and rankings to the exact dates of Google algo updates right on your progress graph, We let you see how different updates impact your site's performance. Our Penalty Removal is customized for each customer in order to help them in long run. Checking for any recent changes on your site. Checking for warnings in your Webmaster Tools account. We will check if you hit by a Penguin update.